Since we cannot have each and every one of you join us in person at our Summits, Soirees, Experiences, and Seva trips, we wanted to come up with some sparkly alternatives. We heard the desire for making Soul Sparkle available, wherever you are in the world. The following are some light, easy, and affordable ways for you to create more magic in your life, and from the comfort of your own home! This one tool has impacted Hayley's life (and the lives of ALL the women she works with) in such a significant way. All of the lovely things happening in Hayley's life were first crafted with intention in this beautiful exercise. 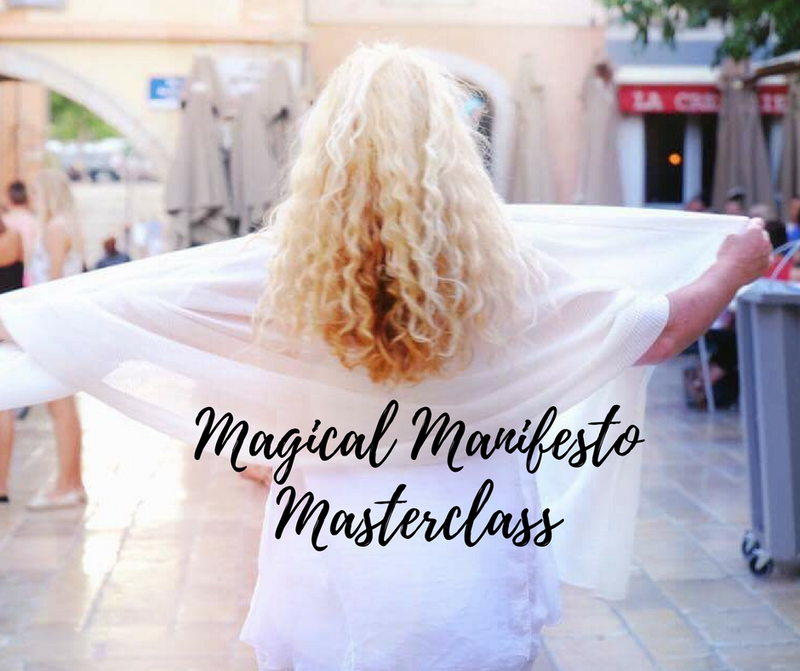 During this class, Hayley will provide a step by step overview of how to create your own magical manifesto. Love Note from the Class: "I loved being a part of it, and I've literally been buzzing from head to toe ever since! No words could express how much I enjoyed the workshop, it's content and getting to work with you face to face. I loved seeing your sparkling face also and love you too." Now is the perfect time to create the life you have been dreaming of, love. Discover the 5 steps to creating your signature soul sparkle style! So many of us struggle so much when it comes to choosing what to wear. 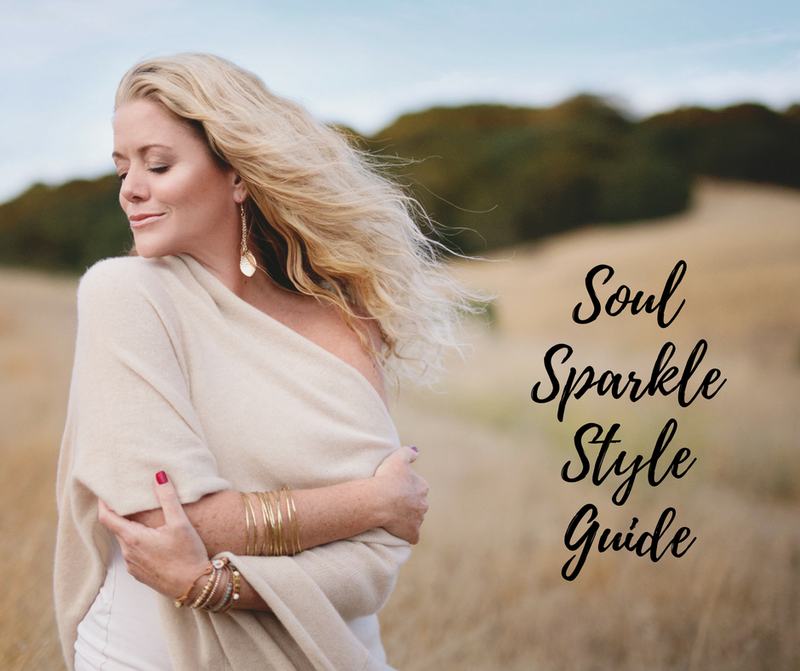 In this PDF, Hayley shares with you her step by step process to discovering her own Soul Sparkle Style and will help you create yours as well. You will come to know exactly what lights you up and looks fabulous on you, as well as find your personal color story that will making shopping a million times easier for you. You will find your signature soul sparkle style to have you feeling your best, most lovely, and in a way that truly allows yourself to be seen. Find out the 7 ways you can bring your dreams to reality in a way that feels light, easy, and magical! You may think that you are not meant for a life of magic, however the life you have been dreaming of is available for you. For all of us. This guide shares Hayley's stories, as well as her favorite tools and resources that she has personally used to create a life that she deeply loves, as well as a more magical version of herself. The implementation is key here because it is one thing to dream and another to act towards those dreams to help make them reality. The more we are able to live these principles for a magical life, the more they will become a habit and as easy and effortless as breathing.